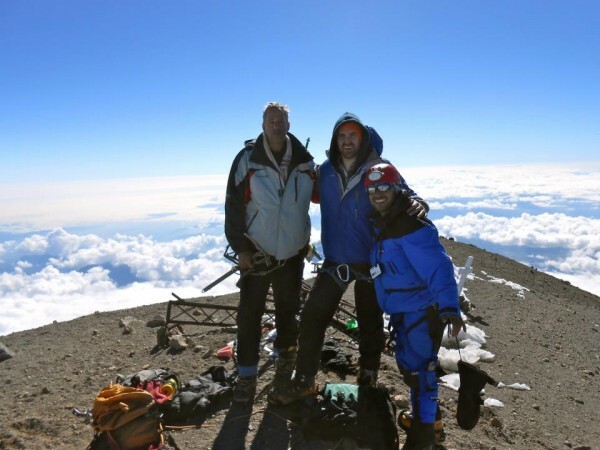 Both times we flew out of BALTIMORE in November and December, TO PUEBLA Mexico to climb Orizaba. 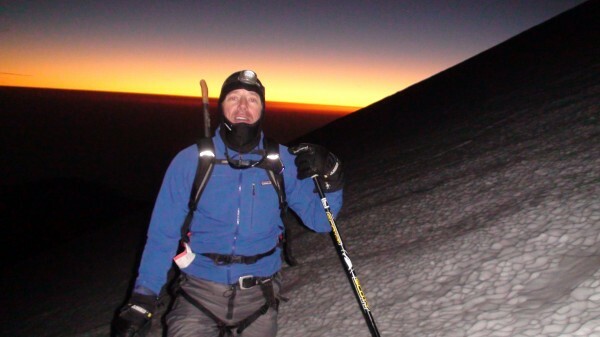 We had climbed Kilimanjaro but here we only had a few days to acclimatize and were not particularly focused on summating. Upon arrival in Pueblo we grabbed our massive, equipment- filled bags and dragged them just outside the terminal into our waiting car from Servimont and we were shuttled direct to Pueblo. Two hours later we arrived at Tlachichuca (8,500 feet) in the early morning at 2 Am. 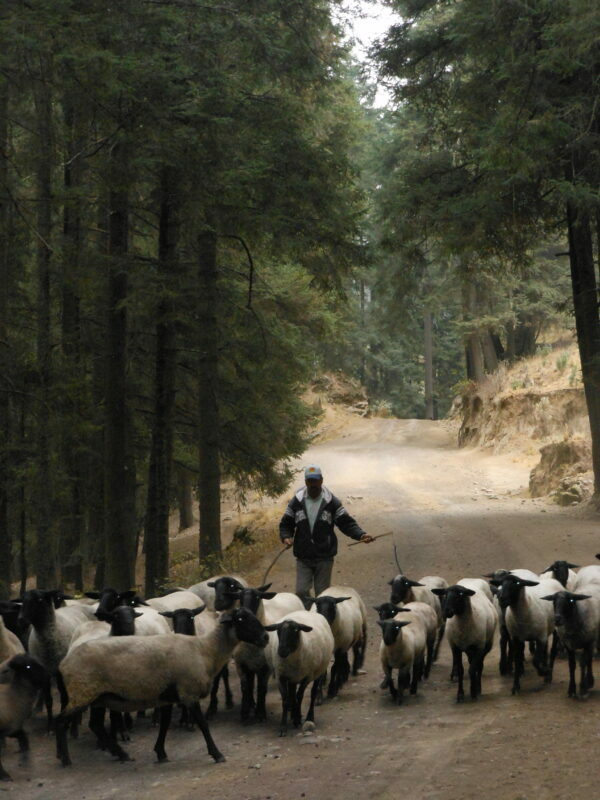 Tlachichuca is a remote village just below the foothills of Orizaba. 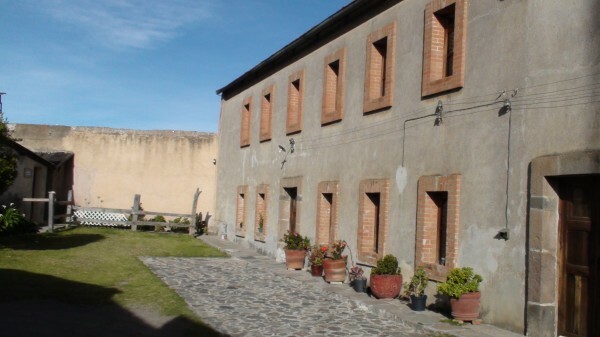 It has the traditional plaza (or zonal) and the typical oversized Catholic church so often found in Mexican towns. The time I skied it 25 yards from the summit where the rock pokes its head through the snow and what an incredible view. 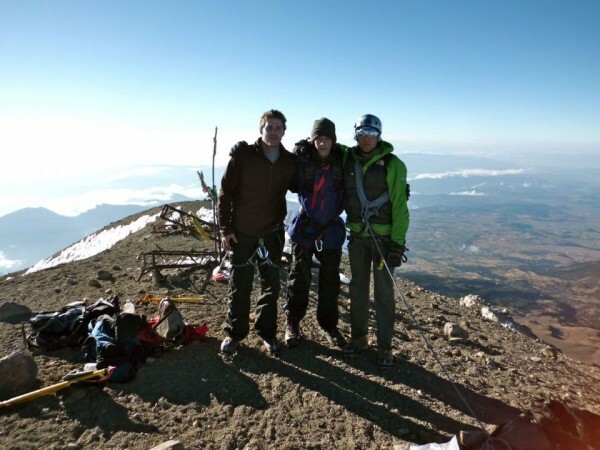 Both times we: Bob the first and Arden and Marie the second , we stayed at Servimont which offers outdoor adventure trips mainly on the high altitude Mexican Volcanoes. Their programs include climbing, trekking, biking and multisport among other adventure activities. 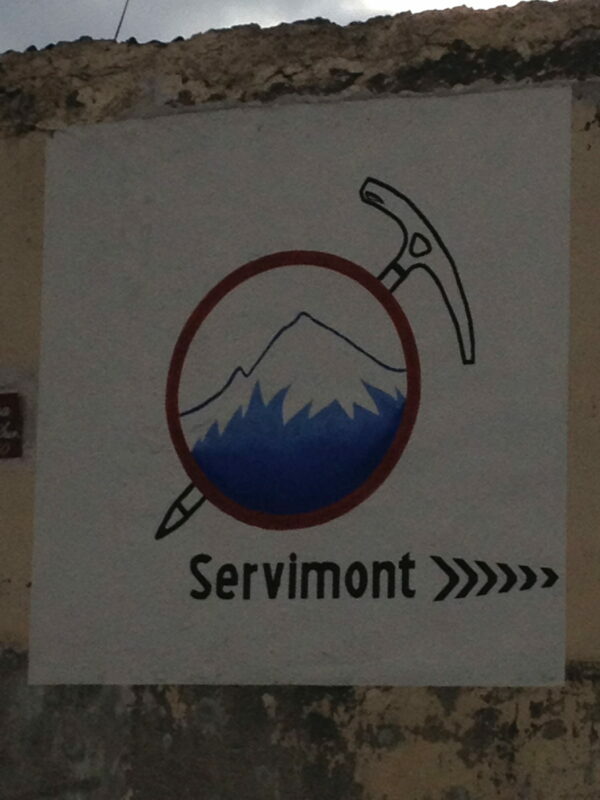 Servimont facilities are located in Tlachichuca, which is the main access to climb Pico de Orizaba or Citlaltepetl. 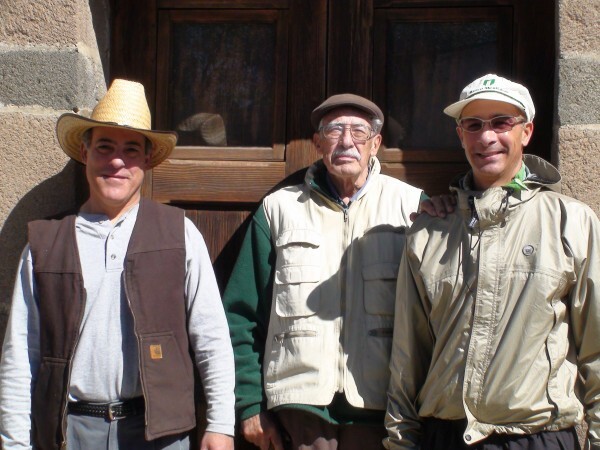 As a family tradition of four generations; they try to keep alive thier climbing heritage and famous hospitality to make their customers feel at home. Below is Marie in the room with private showers and toilets. Servimont compound is a century and a half old, colonial fortress; which includes a unique Soap Factory Museum turned into a classic alpine lodge. Some fellow climbers below what awesome fast friends. 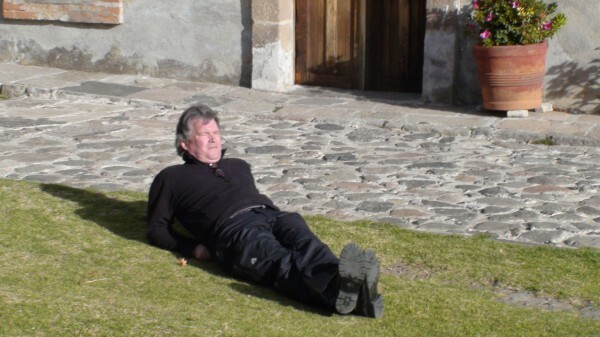 Bob, Relaxing at Senior Reyes. Orizaba November , 2009 above. a barn (we went Horseback riding) and an ancient cheese-making factory that has been converted into a hut for alpinists. The Reyes family above, a must stay. We were very enthusiastic and cheerful upon arrival with the views of the mountain and the hospital atmosphere that we were in, but had acquired splitting headaches from the altitude. We had blue blazers and I said to Bob: we certainly can dress the part but we certainly can’t climb. The Pico de Orizaba is an inactive volcano and the highest mountain in Mexico and the third highest in North America. It rises to 18,600 ft above sea level. The volcano is currently dormant and is the second most prominent volcanic peak in the world after Africa’s Mount Kilimanjaro. 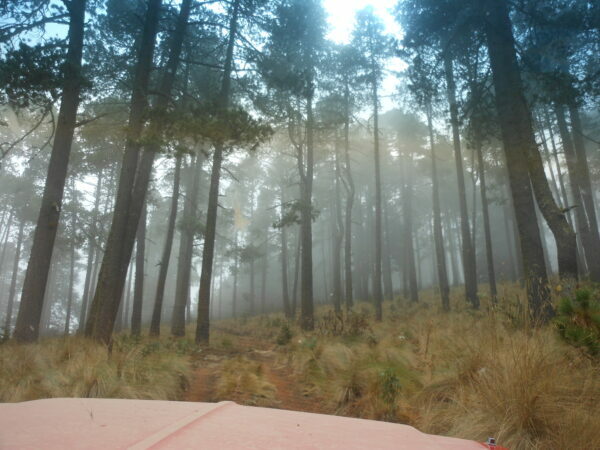 The Peak overlooks the valley and city of Orizaba, from which it gets its name. The earliest mention of the volcano was referred to by the natives during the Pre-Columbian Era as Poyautécatl which means, “The ground that reaches the clouds”. 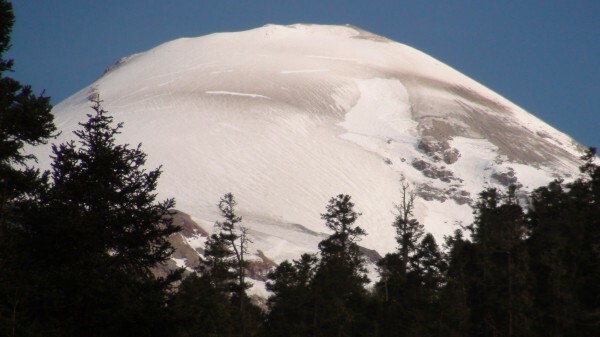 Pico de Orizaba is one of only three volcanoes in México that continue to support glaciers and is home to the largest glacier in Mexico, Gran Glaciar Norte. 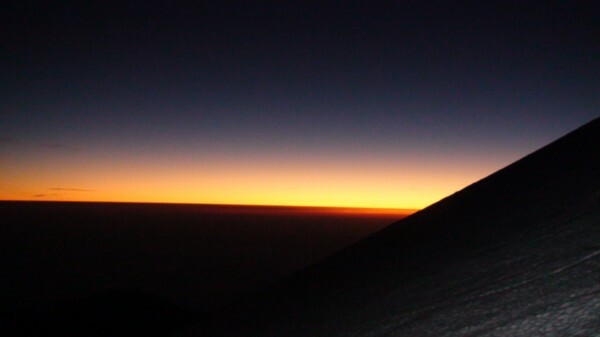 El Pico de Orizaba attracts large number of international climbers every year. Although technically a straightforward route, it does claims lives and should not be taken lightly as if one slips they can fall over 3,000 feet. At 16,500 the glacier begins and at the top reaches an angle of around 35 degrees. The most prominent landmark feature is a huge 25m rock spur just below the summit called the pulpito – this is where I skied from. 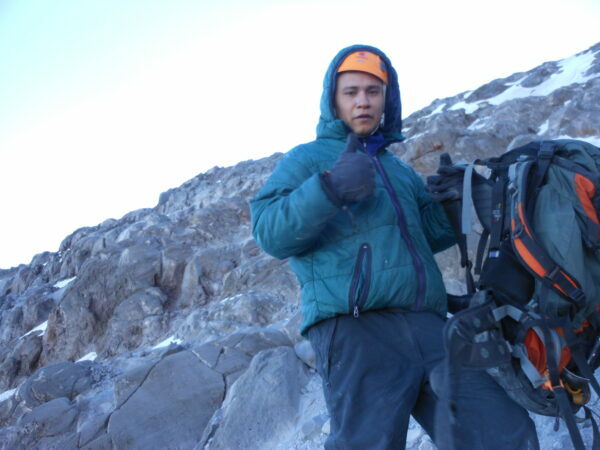 The most frequented route begins from the base camp Piedra Grande Hut via the Jamapa Glacier. 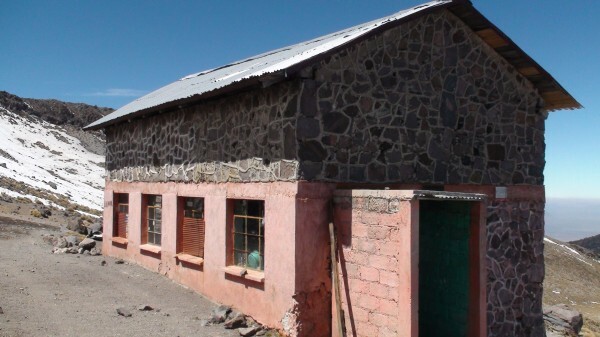 Piedra Grande Hut Base Camp is located at an elevation of 14,010 ft, it is a great place to stay or acclimatize to the high altitude and this is where I started from. The first day we climbed through the wild grasslands and meandered thought tall green pines that cover the volcano’s shoulders. Me above having fun even at 14,000 feet I felt it badly. Needed some Oxy for the pain. The slopes are rather steep and rolling and we hiked for a good 6 hours under beautiful blue skies. That night we both had headaches.. The next day we drove to the hut at 14,400 feet and put on our crampons and carried my skies to about 16,000 feet. The snow line started at the hut and we attempted to walk on the glacier, which we did. This is Bob Ottenritter above hiking through the thick grasslands. we walked up the trail that lead us to approximately where the glacier was and Bob descended from that point and watched me ski down. He almost killed me directing me to a frozen waterfall. 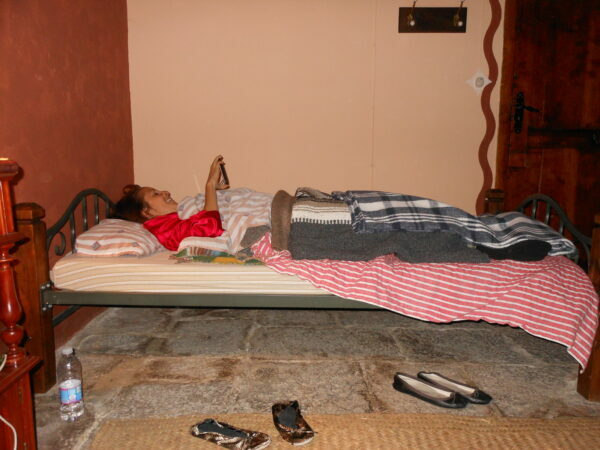 We arrived at the hut at around 4Pm and I went ahead and found a place to sleep. Our Guide was Fernando and he was the best. The hut was better than I had imagined and the conditions were better than what I had seen described some other places. There are no toilets or water so we brought water from the city. We hiked around a bit and then went back to the hut and Fernando cooked a smoking great dinner of chicken and potatoes. Bob told me that the headache and lightheadedness and that he had damaged his spine in the fall that happened that afternoon when he slipped in the snow crevasse. He took some Advil and I think an Oxy and we went to bed. At approximately 1 Am we got up for breakfast and Bob was not going. Fernando cooked breakfast and he agreed to carry my skies towards the summit. I skied from the rock 25 meters below summit and it was great fun. Later on a different time, Marie and I (Arden stayed at Servimont with a day off) climbed up to aboutr 16,000 feet before descending back to the hut. Marie is at the Labrynyth above and my guide on the second climb below. After breakfast Shortly after 1 Am, I got my pack ready and strapped on my crampons. The sky was clear and the moon shone brightly enough that I didn’t need my light. It was not that clod at about 15 degrees so I started to climb immediately into the ice, rock and snowfields. 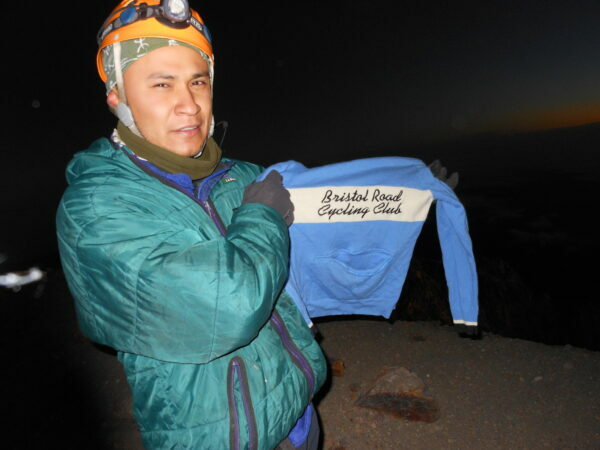 Fernando and I climbed alone for the entire night and early morning and we climbed about 750 feet per hour. I was feeling very strong and fast at first, and I was surprised on how my body was taking the altitude change, since I did not have time to acclimatize, so we just kept plugging. I started to slow down once I reached the upper part of the glacier near what I would call the lip and now the sun was starting to rise. I traveled to the left to try to view the sunrise as it was peaking its tired eye around the corner of the cone. The more I traveled to the left the farther the sun moved around but I did get some nice photos. So I climbed a bit further and realized I would be to tired to ski down and summit and I did not want to leave my skies on the Mountain as I needed them for the 100 mile ski mountaineering trip Chamonix to Zermatt the Haute Route so I decided to stop the climb and attempt to ski it down. I was probably at about 17,500 feet. Rob Laws riding jersey above He is pure SEAL team material. Coming down below look at the pyramid caused by the shadow from the rising sun. 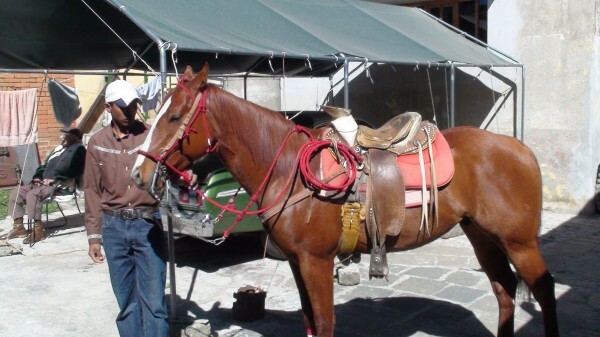 Going to ski and climb Orizaba with Bob and myself and then again with Arden and Marie. 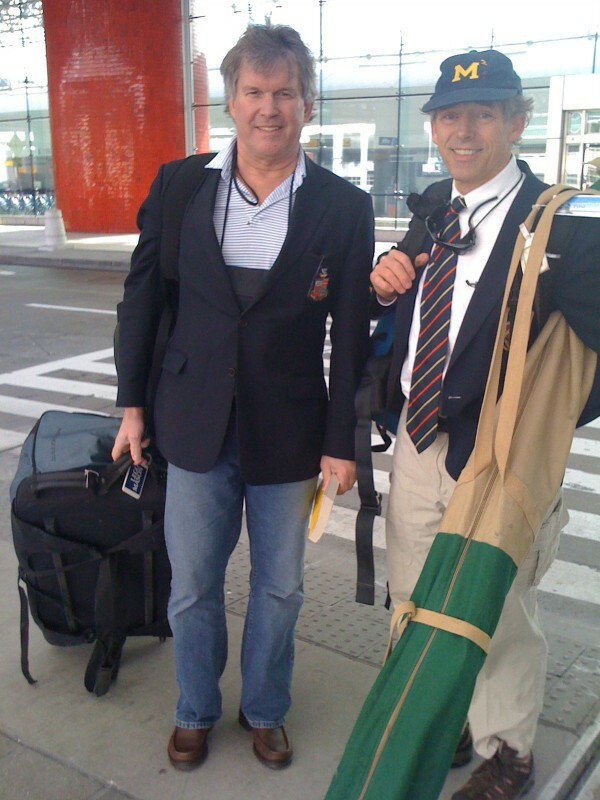 Bothe times we flew out of BALTIMORE in November and December, TO PUEBLA Mexico to climb Orizaba. We had climbed Kilimanjaro but here we only had a few days to acclimatize and were not particularly focused on summating. Upon arrival in Pueblo we grabbed our massive, equipment- filled bags and dragged them just outside the terminal into our waiting car from Servimont and we were shuttled direct to Pueblo. Between the clouds we got glimpses of Popo and Ixta. Pueblo is a large city roughly half way between the capital and the Gulf Coast. 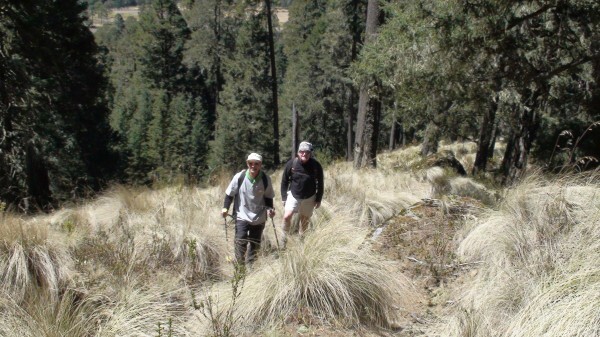 And is the site of the famous Mexican victory over the French which is commemorated every “Cinco de Mayo.” Two hours later we arrived at Tlachichuca (8,500 feet) in the early morning at 2 Am. 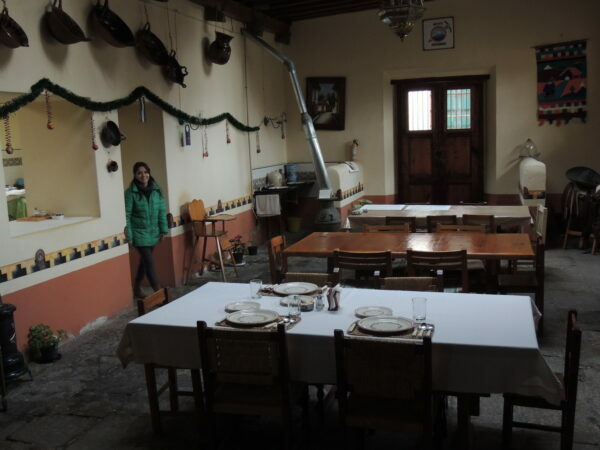 Tlachichuca is a remote village just below the foothills of Orizaba. It has over 12,000 inhabitants, which I found difficult to believe, since I would have guessed a few hundred. It has the traditional plaza (or zonal) and the typical oversized Catholic church so often found in Mexican towns. 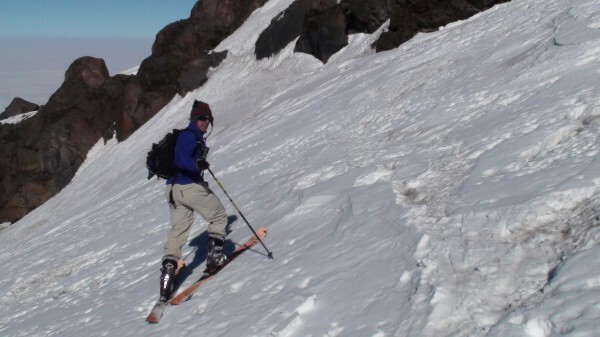 The time I skied it, I was out 50 yards from the summit where the rock pokes its head through the snow. 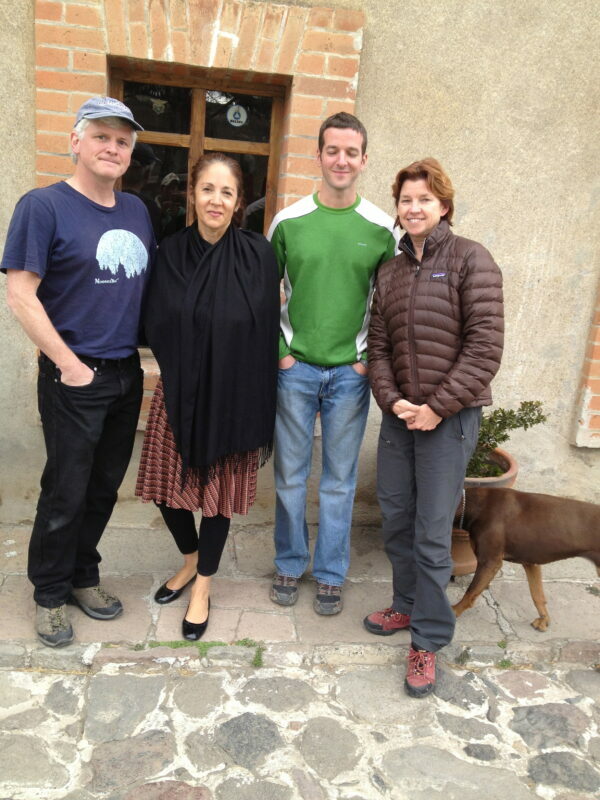 Both times we: Bob the first and Arden and Marie the second , we stayed at Servimont which offers outdoor adventure trips mainly on the high altitude Mexican Volcanoes. 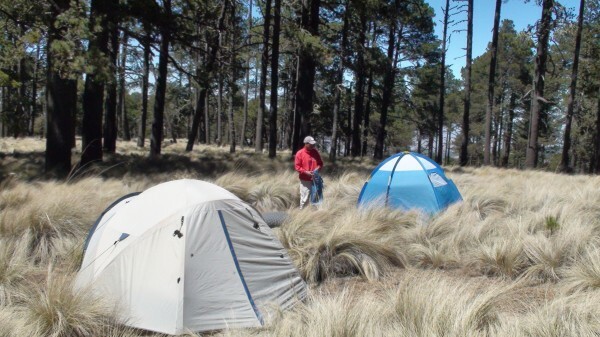 I told them that I had no acclimatization period whatsoever and had come directly from the Baltimore Maryland the same day to Tlachichuca, which is at approximately 8,500. We were very enthusiastic and cheerful with the views of the mountain and the atmosphere that we were in but had acquired splitting headaches from the altitude. We had blue blazers and I said to Bob: we certainly can dress the part but we certainly can’t climb. 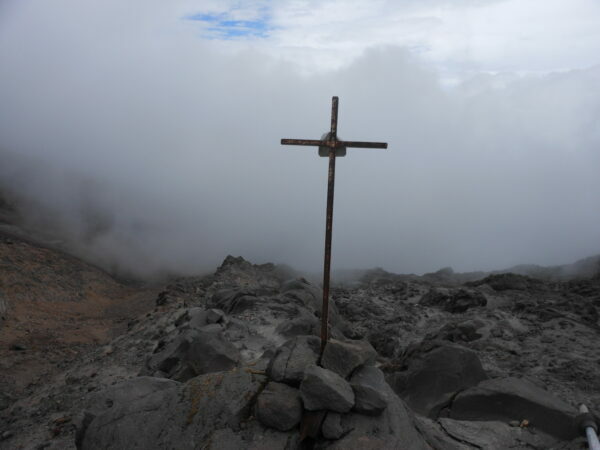 We were reminded that climbing even an easy mountain like Orizaba has risks. About three days prior to our arrival a climber perished on the normal route. Later I heard from a villager in Hidalgo that this unfortunate man, not very experienced in mountaineering, was the first in his party to reach the crater rim. 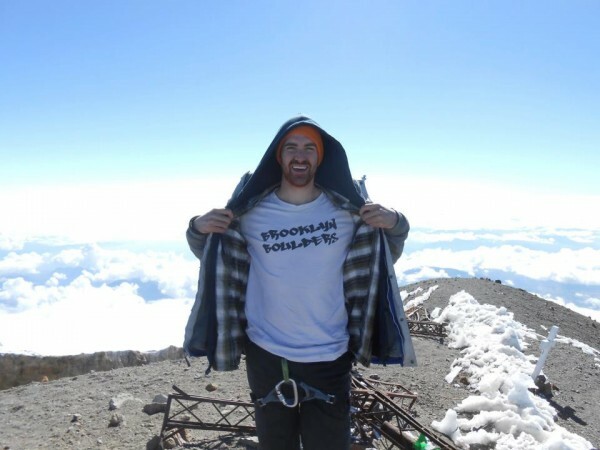 He decided to bolt ahead to become the first on the summit. In so doing, he lost his balance and dropped his ax, preventing any possibility of arrest. He slid thousands of feet. His body as not found until a couple of days later. 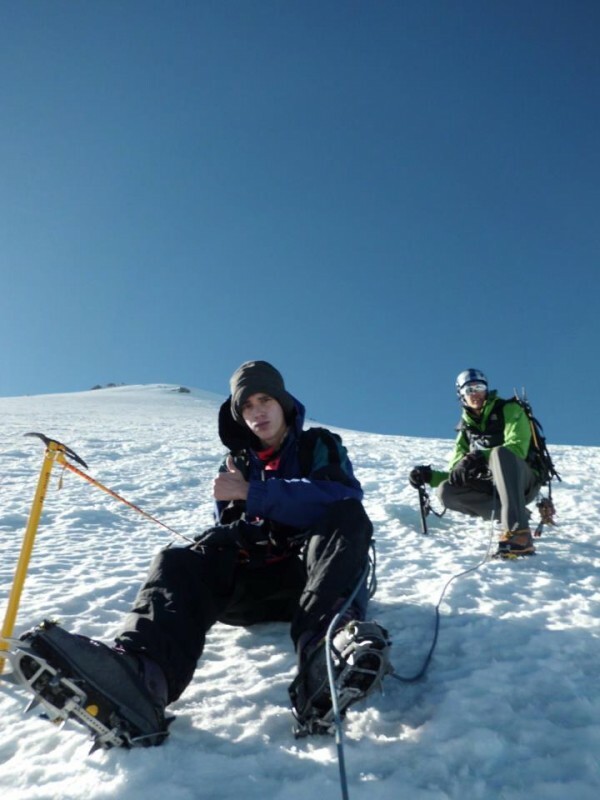 Most accidents were due to slips by inexperienced mountaineers high on the mountain. The lucky victims of such falls came out unscathed but several were injured and a few died. The slope on Orizaba is generally so icy that if you don’t arrest immediately, you will fall a long way. — One can slide three to six thousand vertical feet. 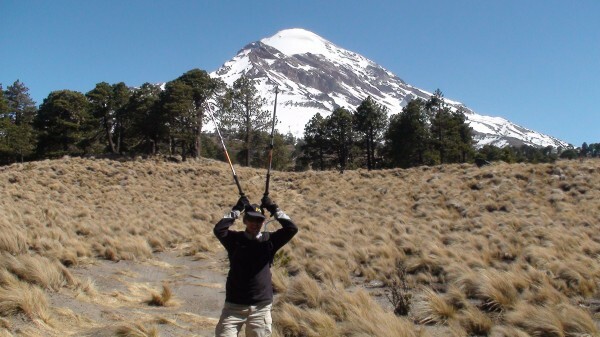 The Pico de Orizaba is an inactive volcano and the highest mountain in Mexico and the third highest in North America. It rises to 18,600 ft above sea level. The volcano is currently dormant but not extinct with the last eruption taking place during the 19th century. 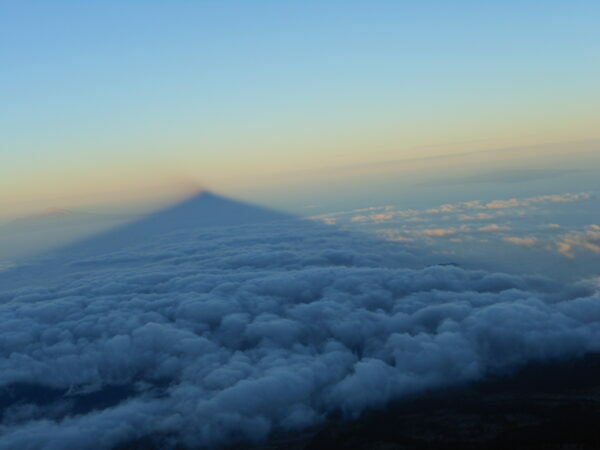 It is the second most prominent volcanic peak in the world after Africa’s Mount Kilimanjaro. Pico de Orizaba is one of only three volcanoes in México that continue to support glaciers and is home to the largest glacier in Mexico, Gran Glaciar Norte. On the north side of Orizaba, the Gran Glaciar Norte fills the elongated highland basin and is the source for seven outlet glaciers. The main glacier extends 2.2 mi north of the crater rim descending from 18,600 ft to about 16,000 ft. Four years ago the snow descended all the way to the hut at 14,000 feet. It has a slightly irregular and stepped profile that is caused in part by the configuration of the bedrock. Most crevasses show an ice thickness of approximately 160 ft.
El Pico de Orizaba attracts large number of international climbers every year. Although technically a straightforward route, it does claims lives and should not be taken lightly. At 16,500 the glacier begins and at the top reaches an angle of around 35 degrees. 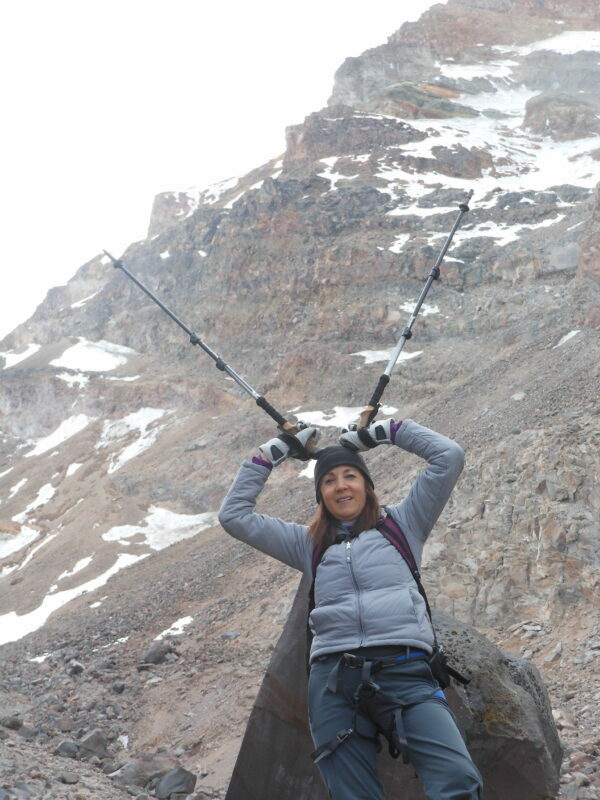 The most prominent landmark feature is a huge 25m rock spur just below the summit called the pulpito. 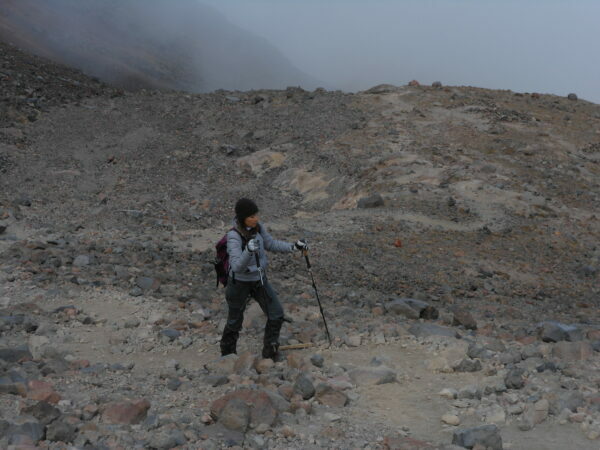 There are many routes for approaching and climbing the volcano, and many people attempt it, mostly during the period from October to March. 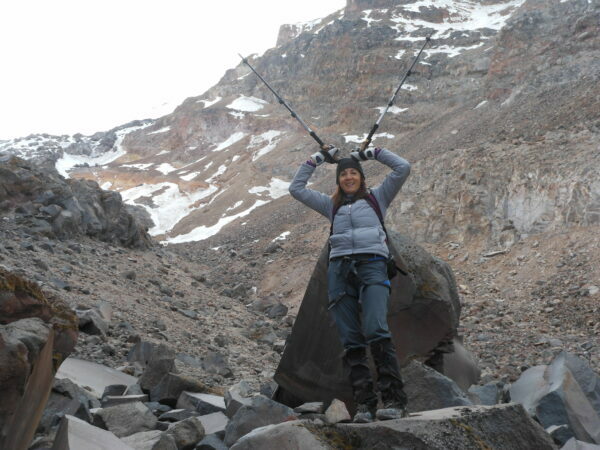 The most frequented route begins from the base camp Piedra Grande Hut via the Jamapa Glacier. Piedra Grande Hut Base Camp is located at an elevation of 14,010 ft, it is a great place to stay or acclimatize to the high altitude and this is where I started from. We arrived at the hut at around 4Pm and I went ahead and found a place to sleep, since we knew that there was the possibility that more climbers could come up that day from the city. The number of climbers at the hut that night was about 5. Our Guide was Fernando and he was the best. The hut was better than I had imagined and the conditions were better than what I had seen described some other places. There are no toilets or water so we brought water from the city. We hiked around a bit and then went back to the hut and Fernando cooked a smoking great dinner of chicken and potatoes. Bob told me that the headache and lightheadedness and that he had damaged his spine in the fall that happened that afternoon when he slipped in the snow crevasse. He took some Advil and I think an Oxy and we went to bed. At around 10Pm while we were asleep in our sleeping bags, five guys came in from outside, from town for the climb of the summit. At approximately 1 Am we got up for breakfast and Bob was not going. Fernando cooked breakfast and he agreed to carry my skies towards the summit. Marie and I (Arden stayed at Servimont with a day off) climbed up to aboutr 16,000 feet before descending back to the hut. Well it was an awesome trip and climb.